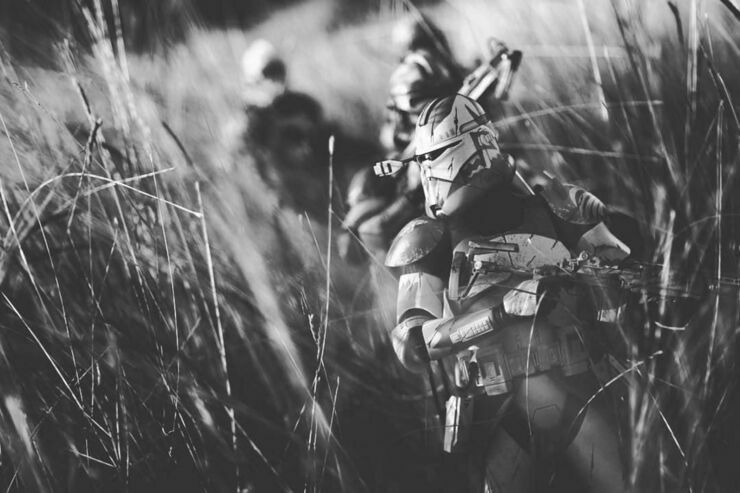 Galactic Warfighters.A look behind the scenes at Matthew Callahan's sprawling photo essay, Galactic Warfighters. 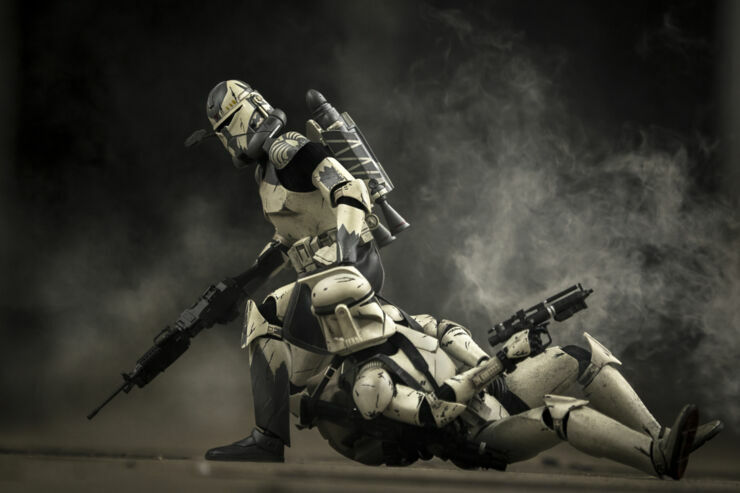 The project aims to humanize the faceless troopers of the Star Wars universe to tether the real world and science fiction through the lens of a U.S. Marine combat correspondent by photographing sixth scale toys from Sideshow Collectibles. 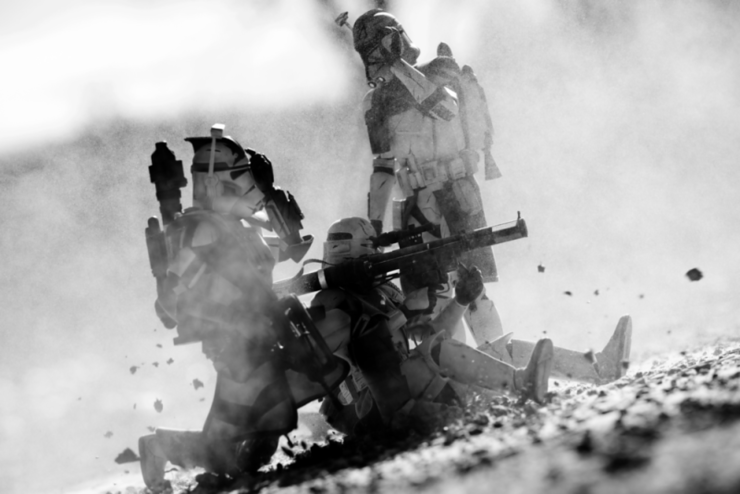 The Star Wars saga may be set in a fictional universe but the seemingly endless war, between the Rebels and the Empire (and their clone troopers), mirrors our own world's preoccupation with conflict. 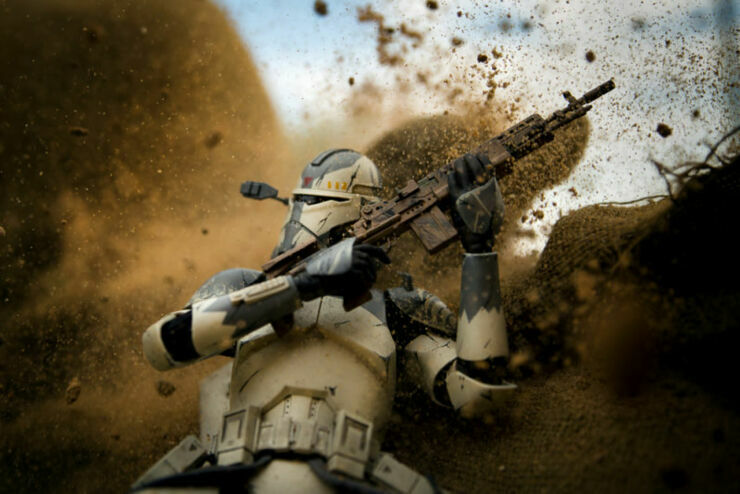 In his series Galactic Warfighters photographer and US Marine combat correspondent Matthew Callahan brings the battles of Star Wars even closer to our own. 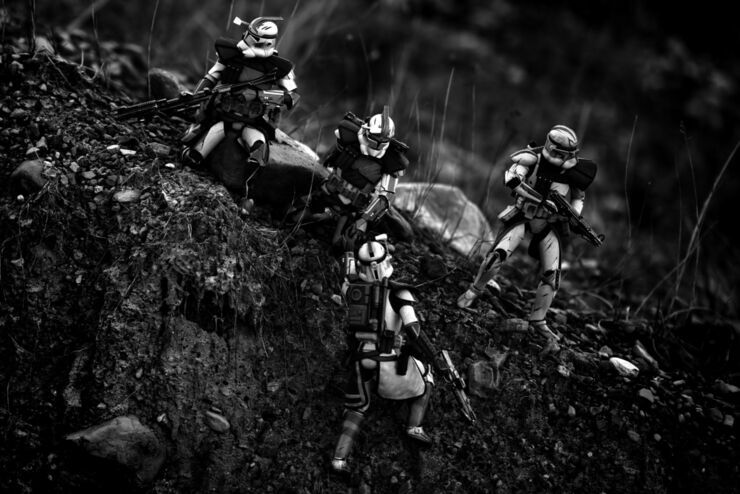 In the series Callahan uses Star Wars clone troopers action figures to create battle scenes which are styled like professional war photography, taking inspiration from actual photos from conflicts in Iraq and elsewhere. 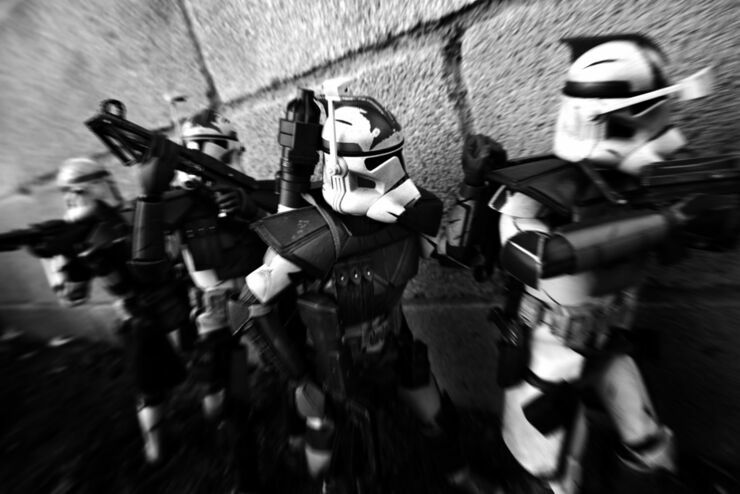 "The clone troopers are a near perfect illustration of the facelessness of a military force." 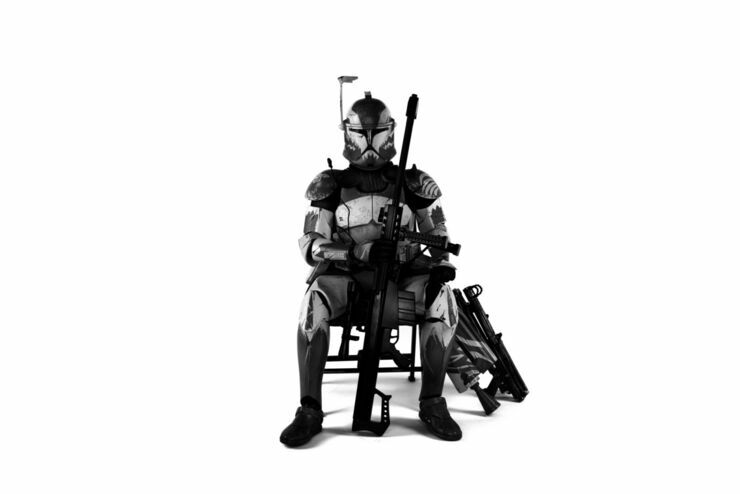 Callahan told The Creators Project. 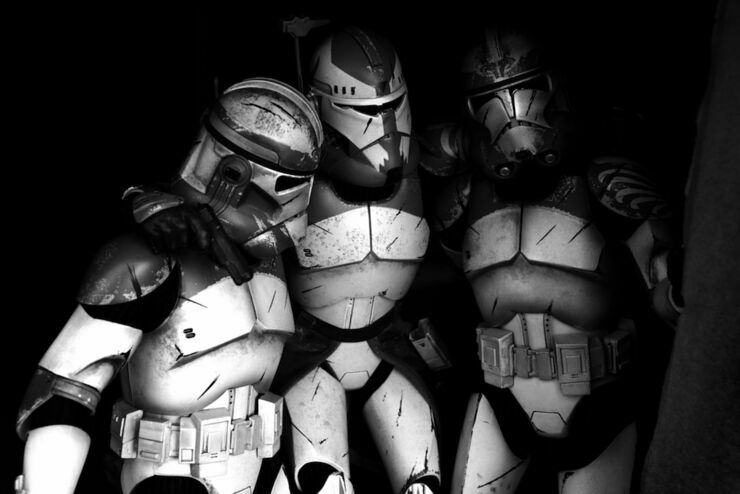 "They are literally all the same person, and can be employed in battle and lost without any real consequence. 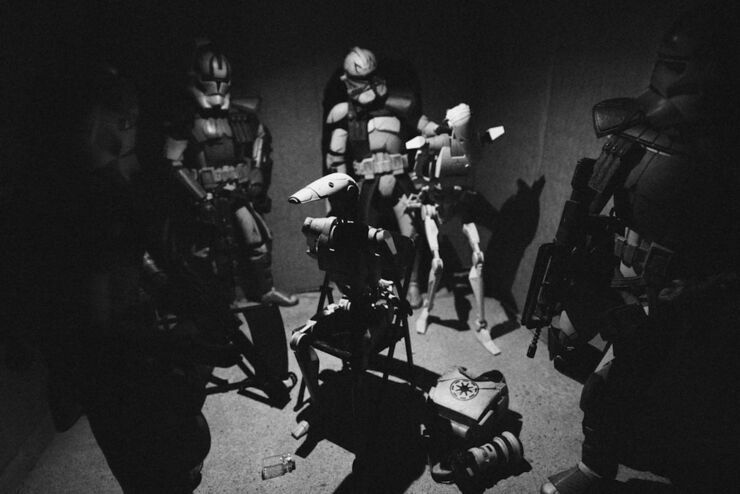 This sets the stage to explore their stories through the small vignettes I create with my photographs and stories that accompany them." 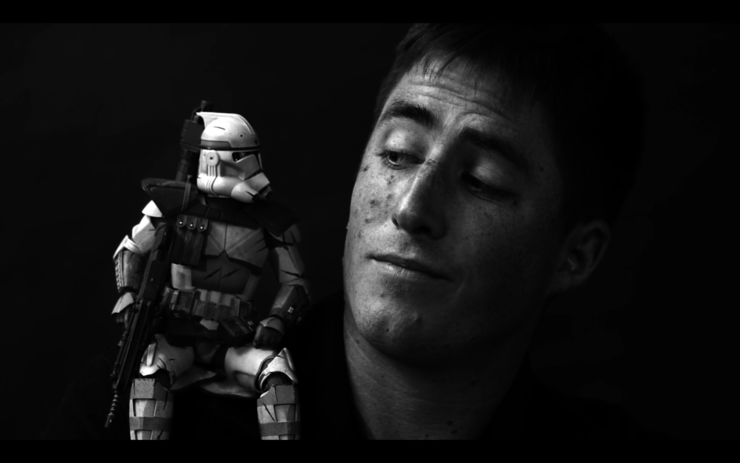 As both a Star Wars fan since he was a child and a storyteller for the military, Callahan naturally thought to combine the two. 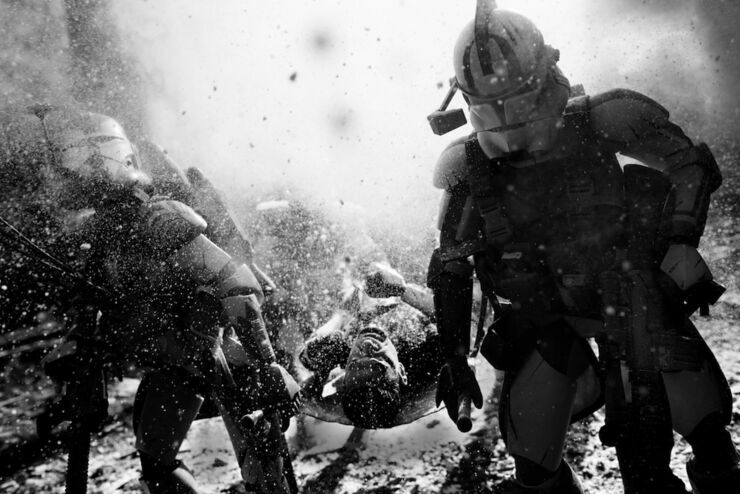 The results are striking images that give people food for thought and serve as a reminder to us all of the trials and dangers faced by the oft-forgotten military men and women involved in armed conflict around the world everyday. 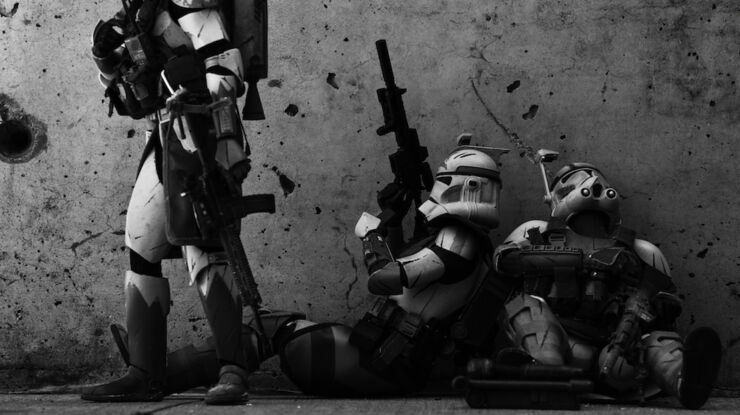 "Galactic Warfighters for me is the marriage of science fiction and the real world military," he explains. 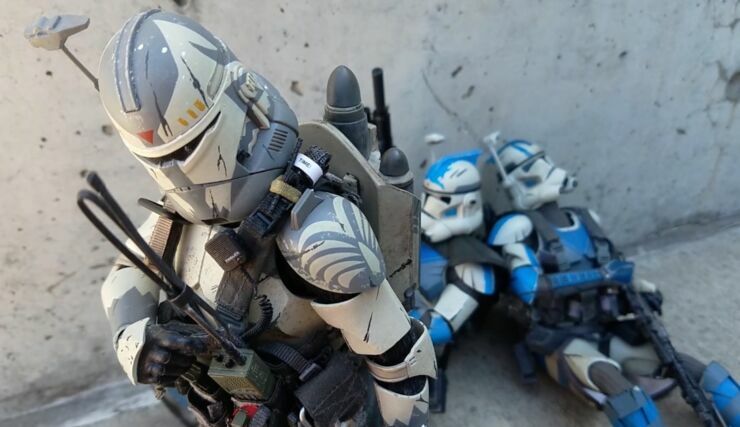 "Two things that have been with me my whole life and well into my military career. 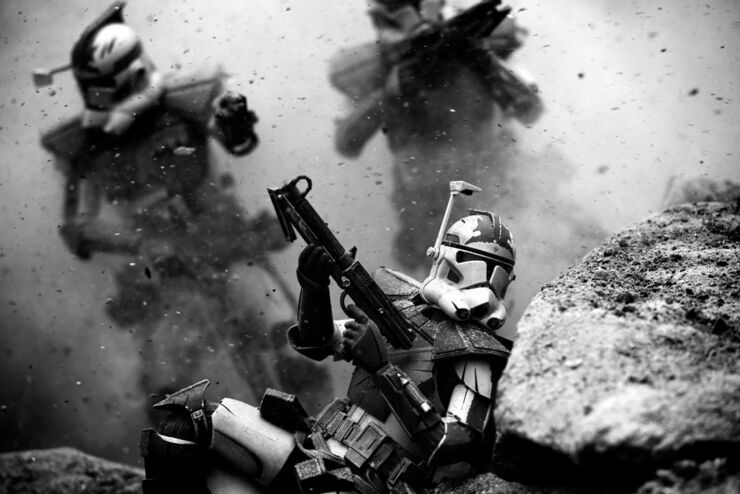 This is my small contribution to the conversation surrounding conflict and popular culture." 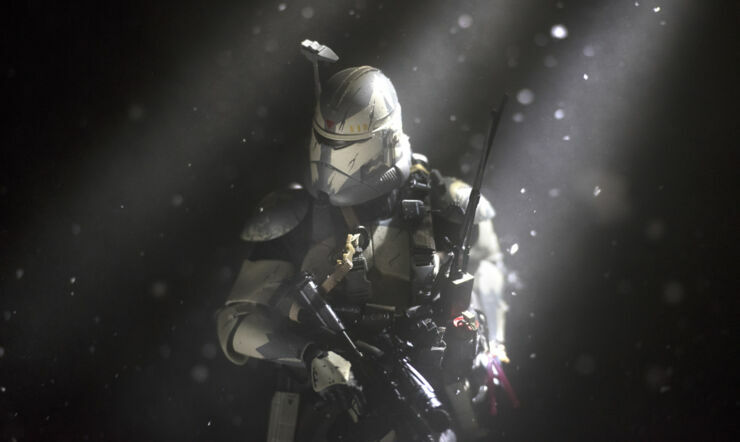 You can check out some images of the repurposed clone troopers from the series below. 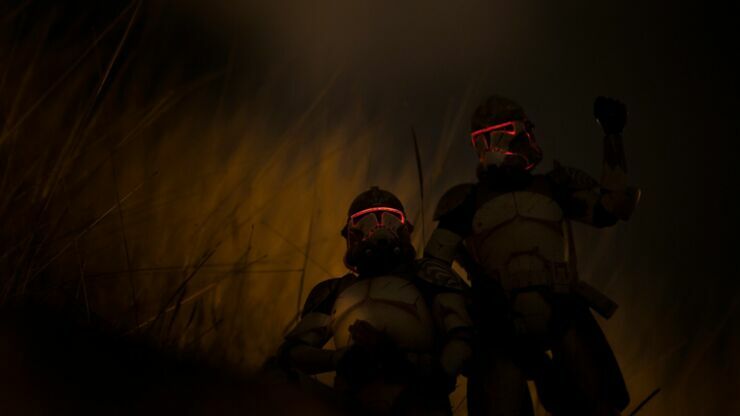 And head to Callahan's Instagram and website for more.